As 2015 closes let’s look ahead filled with wanderlust dreaming of destinations unknown and pause to remember memories made with friends, family, that lifetime trip or just the much-needed vacation that gave you an experience you’ll never forget. 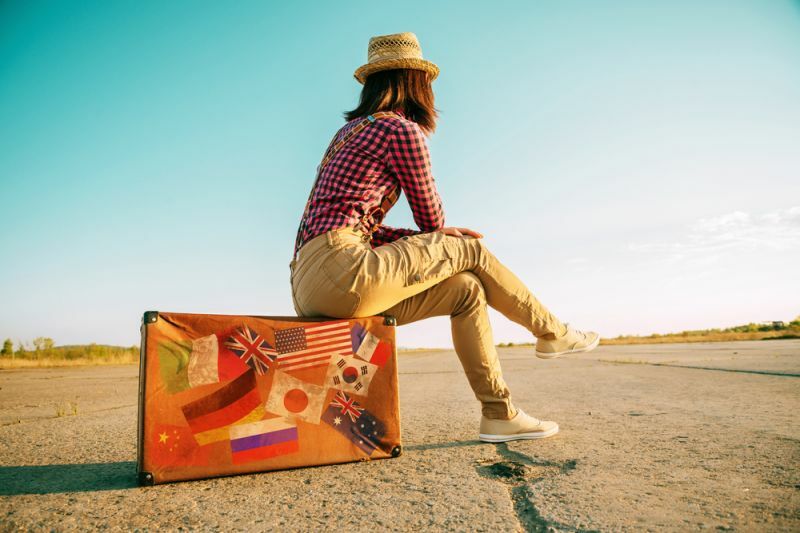 FindTheHome wanted to see which cities were the most popular travel destinations of 2015. To do this, we looked at the 2015 MasterCard Global Destinations Cities Index, which ranked the 132 most visited cities by international overnight travelers* around the world. The report is released in June and projects to year close. We provide a look at the top 10 below, along with data regarding the number of international tourists, growth in visitors over 2014, money spent** by tourists in each location in 2015 and top attractions via TripAdvisor. While London, Bangkok and Paris received the most international overnight tourists in 2015, visitors spent the most money in London, New York and Paris. * An overnight visitor is defined as person who is traveling on a nonstop direct flight to her destination and is not a resident of the destination country. A visitor may make more than one trip, and each trip counts as a new visit. A person on the return leg home does not count as a visitor. ** Money spent is defined as the estimated total amount that visitors spend in the destination city and excludes air ticket expenditure. Between the Hollywood Walk of Fame, Malibu beaches, Santa Monica mountains and historic downtown, there’s no shortage of places to visit and restaurants to enjoy in Tinseltown. Visiting this historic city feels like stepping into a fairy tale. The architecture of the Stare Mesto, Charles Bridge, St. Vitus Cathedral and Old Town Square evoke a rich antiquity as you explore the days of old. If your idea of a nice vacation involves visiting the opera, museums and even palaces, Vienna should be a top city on your list. Popular attractions include the Schoenbrunn Palace, Imperial Palace, Kunsthistorisches Museum and St. Stephen’s Cathedral. This coastal city is both an international financial center and cultural gem. For a more historic experience, visit the Yu Garden, Zhujiajiao Ancient Town, Jade Buddha Temple and Shanghai History Museum. A walk down the Riverside Promenade and Huangpu River showcases a modern skyline. Although Taipei is the capital of Taiwan, the city is immersed in nature. Top tourist destinations include Yangmingshan National Park, riding the Maokong Gondola and hiking Elephant Mountain (also known as the Nangang District Hiking Trail) for incredible views. Rich history and stunning architecture aren't in short supply in Milan. Visit the Galleria Vittorio Emanuele II the Navigli District and the Duomo (Milan Cathedral) for superior examples of both during your stay. The world famous painting by Leonardo DaVinci, The Last Supper, also sits on display at the Santa Maria delle Grazi. Rome is such a romantic city with a history of epic proportions. Visit the famed Colosseum and Pantheon to immerse yourself in the past, enjoy a day touring the Basilica di Santa Maria Maggiore or the Arcibasilica di San Giovanni in Laterano and enjoy trekking about this walkable city. Art connoisseurs would be remiss to skip the Van Gogh Museum in Amsterdam, while history buffs can't miss a tour of the Anne Frank House. Visitors who want to explore a traditional canal street should check out The Prinsengracht, though beer drinkers should put the Heineken Experience toward the top of their lists. Although many of these destinations offer impressive architectural marvels to behold, Barcelona offers some of the most unique architecture in the world. Experience it at the Basilica of the Sagrada Familia, Casa Batllo, Park Guell and Tibidabo Mountain. Experience Japan's architecture, traditions and culture by visiting the Shinjuku Gyoen National Garden and Ueno Park, the Meiji Jingu, Asakusa and Senso-ji Temple. The Tokyo Metro is highly rated, providing an easy means of traveling through the city. This major metro is home to a number of cultural attractions and phenomena like the Big Buddha, the Victoria Harbour, the Nan Lian Garden, Lantau Island, Victoria Peak and Po Lin Monastery. Seek a more traditional experience with a visit to Ngong Ping Village, Sai Kung and the Chi Lin Nunnery or see Hong Kong’s take on Disneyland and its prized Ocean Park. Seoul is a major cultural hub, offering a rich history and innovative spirit. The Gyeongbokgung Palace and Bukhansan National Park are two of the most cherished places to visit, while the Hangang Park waterfront and N. Seoul Tower are great for leisurely downtime and far-reaching views, respectively. Visit a neighborhood of traditional Korean homes at Bukchon and enjoy Seoul’s unique nightlife at any one of its numerous nightclubs. This Malaysian city offers a lot of architectural monuments to visit, including the Kuala Lumpur Tower, the Petronas Twin Towers and the Bukit Bintang Walkway. Visiting these monuments will give you breathtaking views of the cityscape below. The Perdana Botanical Garden, the Thean Hou Temple and Sri Maha Mariamman Temple provide geographic and historic context for any visitor. This city is a prime tourist location for botanists or those who appreciate nature. Between the floating Gardens by the Bay, the National Orchid Garden, Singapore Botanic Gardens, and Cloud Forest, the country’s lush climate and vegetation are on full display. The Singapore Flyer is the second-largest observation wheel in the world, equipped with 28 air-conditioned capsules that can accommodate 28 passengers each. Boasting one of the most iconic skylines in film and international pop culture, the Statue of Liberty, the World Trade Center Memorial, Empire State Building Broadway, and Times Square offer a vibrant mix of attractions for all ages. While that might appear to be the highlight reel at first, Washington Square Park, Central Park and the Metropolitan Museum of Art also provide visitors with elements of the true “New York experience,” as do its plentiful dining options and Harlem’s jazz and blues music scene. The Sultanahmet District provides an inspiring venue for exploring Istanbul’s architecture, history and culture. In this district, visitors will see the Suleymaniye Mosque, a famous site of worship. Those interested in Turkey’s monarchical past can visit the Topkapi Palace and learn more about the city’s Byzantine-era history at the Kariye Museum. This out-of-this-world city is grandiose beyond measure. The Burj Al Arab is one of the most iconic buildings in the Middle East, sitting on its own small island and standing at 56 stories tall (not including the three floors below ground). Those who love to shop will never tire of the Dubai Mall, which is the largest shopping mall in the world based on total area. The City of Love, Paris packs many beautiful and rich landmarks in a relatively small cityscape. Visit The Louvre to see some of the most prized works of art in the world (including the Mona Lisa), Versailles to admire one of the most ostentatious palaces ever built and cruise your way down the Seine for a view of the city skyline and urban life. A trip up the Eiffel Tower is necessary for those who aren’t afraid of heights. The Grand Palace and Wat Prakeaw embody the architecture and design elements you envision when you think of Thailand. The Wat Arun is one of the most recognizable structures in Southeast Asia, and the city’s Chinatown Market, Soi Rambuttri, and Soi Cowboy (red-light district) introduce tourists to cultural elements of Bangkok today. From the majesty of Buckingham Palace to the glamour of the Crown Jewels and the Globe Theater, history is still very much alive in London. Admire the architecture of the British Parliament building and Big Ben from the London Eye, take a river cruise on the Thames and visit the darker parts of London’s past at the Tower of London. (Crewe) The appeal of the world’s most stylish, luxury grand tourer is enhanced with the introduction of the new, sporting Continental GT V8 S. Available as both a coupe and convertible, the new GT V8 S models bring added excitement to the Continental range with lowered and retuned sports suspension, sharper steering, dramatic ‘S’ signature styling cues and a distinctive soundtrack from the uprated V8 engine. Five Dallas Police Officers have died and seven others injured in an ambush as a protest over the recurring use of excessive and deadly force against unarmed African Americans turned violent leaving a city and nation stunned. President Obama became the first president in more than 50 years to travel to Cuba, after reestablishing diplomatic relationships with the island nation, and meet with the President of the communist country to discuss beneficial and advantageous policy changes. Julia “Lady J” Gerard the original rebel with a cause couture designer who has dressed the hottest celebrities from Cher to Rihanna, is opening the doors of her Melrose Studio Gallery for Project Divine, a four day super sale benefiting Project Angel Food. Mick Jones of The Clash, one of the most established and respected figures in British pop music, has opened his Rock and Roll Public Library as part of the 56th Venice Biannale releasing a very limited edition of up tempo instrumentals called 'Ex Libris'. NARAL Pro-Choice California and 18 Partner Organizations Rally in San Francisco as Part of a National Day of Action to "Unite for Justice"
Sunday, August 26th, Women’s Equality Day, NARAL Pro-Choice California, together with eighteen partner organizations, California leaders and activists will join Americans across the country to demand the U.S. Senate stop Brett Kavanaugh’s nomination for a lifetime appointment to the Supreme Court. The DOW Jones Industrial Average,in response to the poor showing from January’s Bureau of Labor Statistic’s jobs report, as well as eight of the top ten world markets, unable to rally, sustained heavy losses as investor confidence globally continued to fall. “Butcher Boys” from Greeks Productions, Kitchen Sink Productions and Texas Chain Saw Massacre writer Kim Henkel, brings to the screen a deeply dark, shockingly graphic horror ride into the depth of modern Satanism.